So far adminMWL has created 26 blog entries. Meet Katie and Andy! They sometimes work in tandem, sometimes go it alone to cover more ground. Ants. 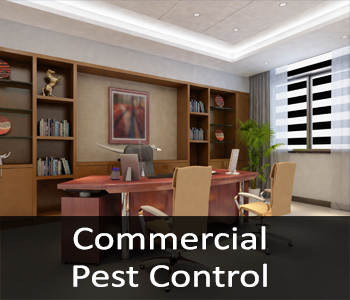 mice, spiders, roaches, fleas and mosquitoes are some of the most common pests that residents of the Memphis area combat. 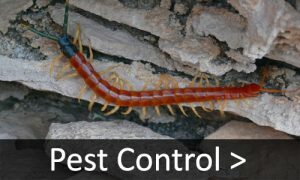 Rosie’s can help eliminate all of these and termites too! 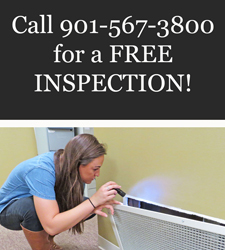 Need a free evaluation of your pest problems? Click here! While gathering food, a bee may fly up to 60 miles in one day. Termites eat through wood two times faster when listening to rock music. Houseflies can taste with their feet — they have taste buds on them. It takes about one hundred Monarch Butterflies to weigh an ounce. 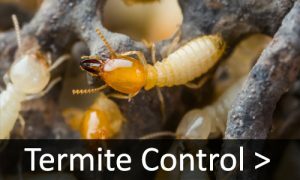 The queen of a certain termite species can lay 40,000 eggs per day. To survive the cold of winter months, many insects replace their body water with a chemical called glycerol, which acts as an antifreeze against the temperatures. For every human there are about 1 million ants. A house fly lives for only 14 days. Bed bugs can live for several months without a blood meal. This means they can linger in furniture for a long time until they are near a human host again. All insects on Earth would outweigh all animals if put on a scale. 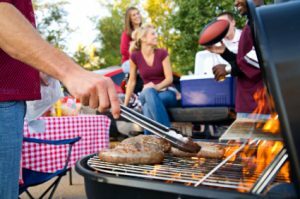 Now is the the perfect time of year for barbeques, picnics, and tailgate parties. Attracted by the smell of delicious food and drinks, uninvited pests are known to invade outdoor parties and send guests running. Before you start firing up the grill, consider taking some preventative measures to contain the summer pests in your area. We’ve gathered a list of tips that you can use to enjoy an insect-free setting for your next outdoor entertaining. Check screen doors, screen windows, and screen coverings for any holes or tears that could allow entry to unwanted insects and repair them. Certain types of light bulbs will attract insects, so use low pressure and sodium vapor lights outdoors. Many insects are attracted to fragrances, so avoid using sweet-scented items like candles and instead use candles that are scented to repel insects or use citronella oil in your outdoor torches. Make sure your lawn is mowed short, your flower beds are weeded, and your shrubs are groomed to prevent snakes and a variety of insects from moving in. Use a homemade garlic spray on plants, shrubs, flowers, and grassy areas to repel insects. Create an ant-free zone by sprinkling a border of baby powder or corn starch around your picnic table. Ants won’t cross the line! Remove any pet food or any fruit that has fallen from trees that might attract insects. Thoroughly inspect for wasp nests under porches, patios, decks, eaves, grills, playground equipment, etc. and get rid of them. 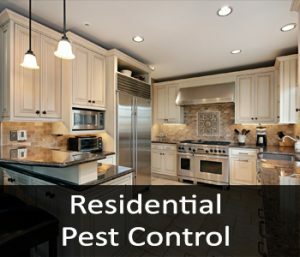 Consider hiring a professional pest control company like Rosie’s Pest Control to come out and spray the area you plan to use for guests. Use covers on your food until just before it is time to eat in order to limit the smells that insects are drawn to. If possible, use cups with lids or bottles with twist off caps so that sweet, sugary drinks aren’t left open to attracts wasps and flies. Or at least try to provide clear plastic cups for your guests to use as aluminum cans and open bottles that you can’t see through are good hiding spots for flying insects. Keep your trash can near enough so that you can regularly dispose of trash, but also far enough away from guests as trash bins can attract flies and other bugs. Additionally, be sure to continuously clean up any trash, crumbs or spills from the area. Use box fans to not only cool the area for your guests, but because flying bugs hate breezes. Pour some red wine into a few cups and place them surrounding your gathering area to attract any lingering fruit flies and keep them away from the actual glasses of wine that your guests drink from. 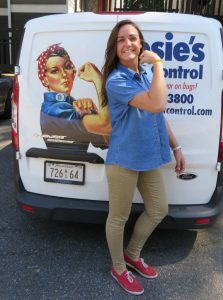 Katie Fox is a great addition to the Rosie’s team. She is fully certified and is a very hard worker! Katie grew up playing soccer, a very tough and physically demanding sport, so she is not afraid of hard work and getting her hands dirty! 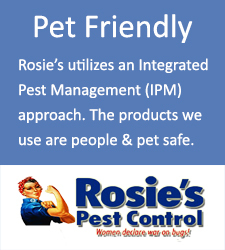 Katie can handle mosquitoes, bed bugs, roaches, fleas, ants, spiders and so much more! 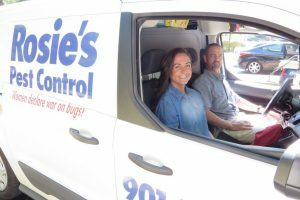 We are very lucky to have Katie on board with Rosie’s Pest Control in Memphis. Are all insect repellents created equal? According to consumer reports, NO! In fact, most of the top brands you find in grocery and retail outlets are proven to last only an hour or less. 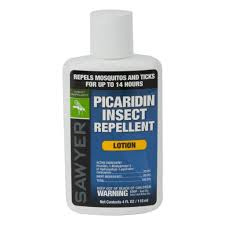 The unbiased report that was just released by Consumer Reports compares all brands and the winner is Picaridin Insect Repellent overwhelmingly. If you are pregnant or nursing there are vegetable based options, but they are just not very effective. The best way to keep the mosquitoes from biting is to control them in your area. 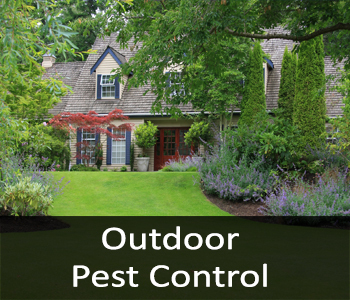 Rosie’s Pest Control has you covered in the Memphis area with a FREE mosquito treatment with any pest contract for your home or for your business. 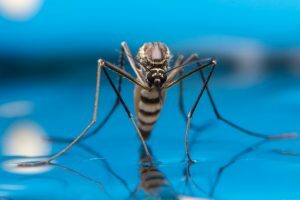 With the spread of the Zika virus, mosquito control is more important than ever. 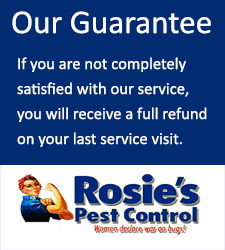 Request a free evaluation from Rosie’s here. This weekend is Memorial Day, complete with barbecue and fireworks. It’s important to remember, fireworks and dogs don’t mix. Unlike people, dogs won’t associate the loud noise, flashes, and burning smell of pyrotechnics with a celebration. Fireworks will likely cause panic and anxiety in dogs. Dogs panic at the sound of fireworks and flee into the night, often winding up lost, injured, or killed. 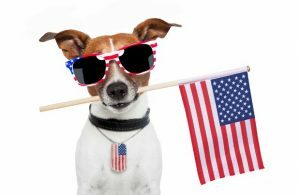 In order to prevent your celebration from turning into a tragedy, here are our top Memorial Day pet safety tips. It may seem obvious, but even if your dog is used to being outside, the resulting stress resulting from fireworks or other loud noises may cause him or her to break their restraint or jump a fence in a frenzied attempt to find safety. The same tip applies to applying “people” sunscreen on your pet. What isn’t toxic to humans can be toxic to animals. The ASPCA lists the poisonous effects of sunscreen on your pet as, “…drooling, vomiting, diarrhea, excessive thirst and lethargy.” Meanwhile, DEET, a common insecticide in products for humans, may cause neurological problems in dogs. It may seem obvious, but alcohol is extremely dangerous to dogs. Just small amounts of alcohol can cause your dog become dangerously intoxicated, go into a coma, or in severe cases, die from respiratory failure. Yes, even beer is toxic; fermented hops and ethanol are poisonous to dogs (and cats). The safest place for your dog is at home, not in a crowded, unfamiliar, and noisy place. The combination of too many people and loud fireworks will make your beloved pet freak out and desperately seek shelter. Locking him or her in the car is also not an option; your pet may suffer brain damage and heat stroke. Without proper identification it is extremely difficult to retrieve a lost dog. Consider fitting your dog with microchip identification, ID tags with his or her name and your phone number, or both. It is also a good idea to have a recent picture of your dog in case you have to put up signs. While lit fireworks can pose a danger to curious dogs and potentially result in severe burns and/or trauma to the face and paws, even unused fireworks can be hazardous. Some fireworks contain potentially toxic substances such as arsenic, potassium nitrate, and other heavy metals and we all know how curious dogs can be. If you are having a backyard barbecue, you may be tempted to slip some snacks to your dog. But like beer and chocolate, there are other festive foods that could harm your pet. Onions, coffee, avocado, grapes and raisins, salt, and yeast dough are all possible hazards for dogs (and cats). The ASPCA lists chlorinates as a harmful chemical substance found in most matches that, if ingested, can cause your dog difficulty in breathing, damage to blood cells, or even cause kidney disease. If exposed to lighter fluid, your pet may sustain skin irritation on contact, respiratory problems if inhaled, and gastric problems if ingested. Oils, candles, insect coils, and other citronella-based repellents are irritating toxins to dogs, according to the ASPCA. The result of inhalation can cause severe respiratory illnesses such as pneumonia, and ingestion can harm your pet’s nervous system. The safest and best bet for celebrating this Memorial Day with your dogs is to exclude them from party, at least this time around. Instead, find a safe, secure spot in the home for your dog while you go out and enjoy the loud bangs, bright lights, and spectator fun. Your dog will appreciate the quiet a lot more than you’ll enjoy the noise. Rosie’s Pest Control would like to wish you all a great weekend of celebrating the veterans that have helped secure our freedom.